A word used in place of a noun is called a pronoun. Its origin is French as Pronomena; 'pro' means before and 'nomen' means name or in this case English Pronoun". 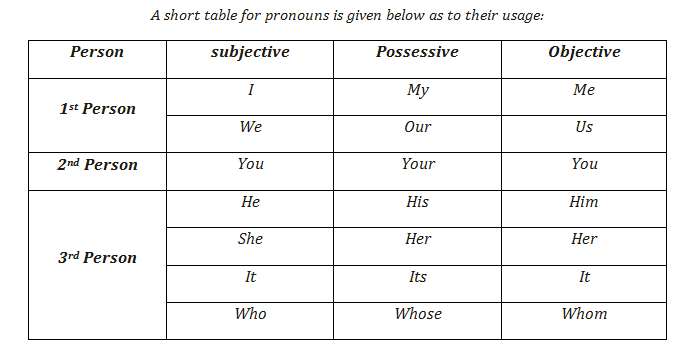 The below table is meant primarily to show that by understanding just the basic role of pronouns and their subjective, possesive or accusative and objective role in English sentence structure we may better be able to use them properly in the formation of sentences.